Congratulations!!!! 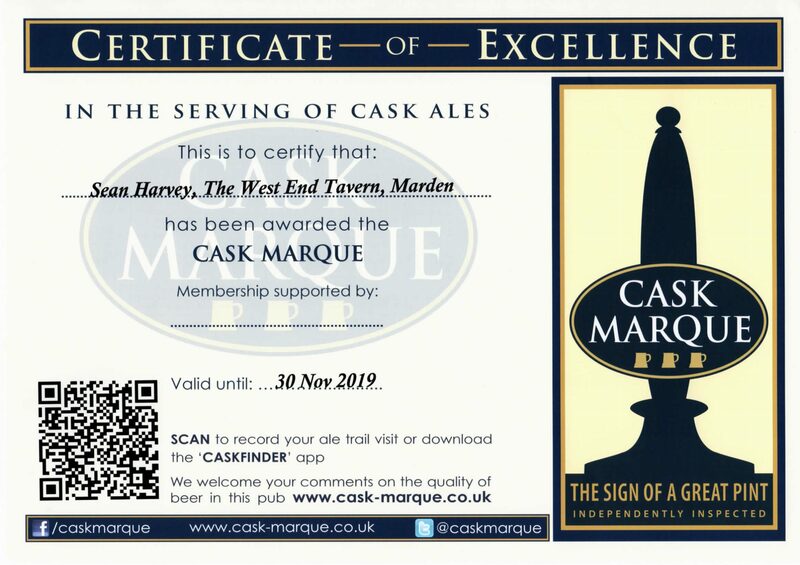 The West End Tavern has been awarded a Cask Marque Accreditation. This is awarded after a pub and cellar are inspected and the quality of the cask beers served is found to be of a very high standard. Sean has worked very hard to improve the cellar and is proud to serve a ‘great pint’. Real Ales are becoming more and more popular and there is now a Cask Finder App which will let you know about the pubs local to you serving real ales as well as tasting notes for most ales.